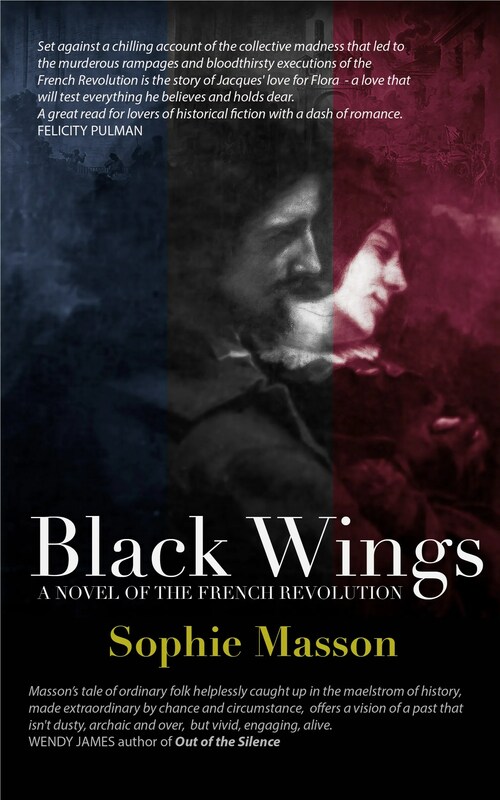 Very excited to be publishing Sophie Masson’s novel of the French Revolution, BLACK WINGS, available now on the Kindle store. Get your copy during the first week of publication and pay less than a US dollar or UK pound for a read that will stir you to the core. Cassandra Golds, author of Clair-de-Lune, The Museum of Mary Child and The Three Loves of Persimmon. Wendy James, author of the award-winning Out of the Silence, The Steele Diaries and The Mistake. Felicity Pulman, author of A Ring Through Time. The Walter Scott Prize, founded in 2009 by the Duke and Duchess of Buccleuch and awarded at the Brewin Dolphin Borders Book Festival in June, is the largest annual UK prize to be judged outside London, and honours the legacy and achievements of Sir Walter Scott, founder of the historical novel. Scott’s influence has been further revived this year, with several new books and documentaries on his life, a new radio adaptation of his work read by David Tennant, and the re-opening of his Borders home Abbotsford after substantial restoration. The judging panel for the Walter Scott Prize for historical fiction comprises Kirsty Wark, Louise Richardson, Jonathan Tweedie, Elizabeth Laird and Elizabeth Buccleuch, and chair Alistair Moffat. The judges’ criteria include originality and innovation, quality of writing, a strong narrative, and the ability of a book to shed light on the present as well as the past. Books can be by writers living in the UK, Ireland or the Commonwealth as long as they are writing in English and the book is first published in these countries. Shortlisted authors are invited to attend the award ceremony and announcement on Friday 14th June, which is a public event as part of the Brewin Dolphin Borders Book Festival in Melrose, near Scott’s home Abbotsford. As well as enjoying the hospitality of the Duke and Duchess of Buccleuch at their home Bowhill, shortlisted authors this year will also exclusively be offered a private preview tour of Abbotsford following its restoration. via Shortlist for 2013 Walter Scott Prize Announced.